I'm sure you have noticed the change in my blog. I am really enjoying the new more modern me. This has been a long time coming. Last year I created a stamp from vista print for making my own cards. At the time it was awesome, effective and really cheap. I ordered on line from moo.com mini cards and they are adorable! I have 4 different images in the back and the same image on the front of all 100 cards. 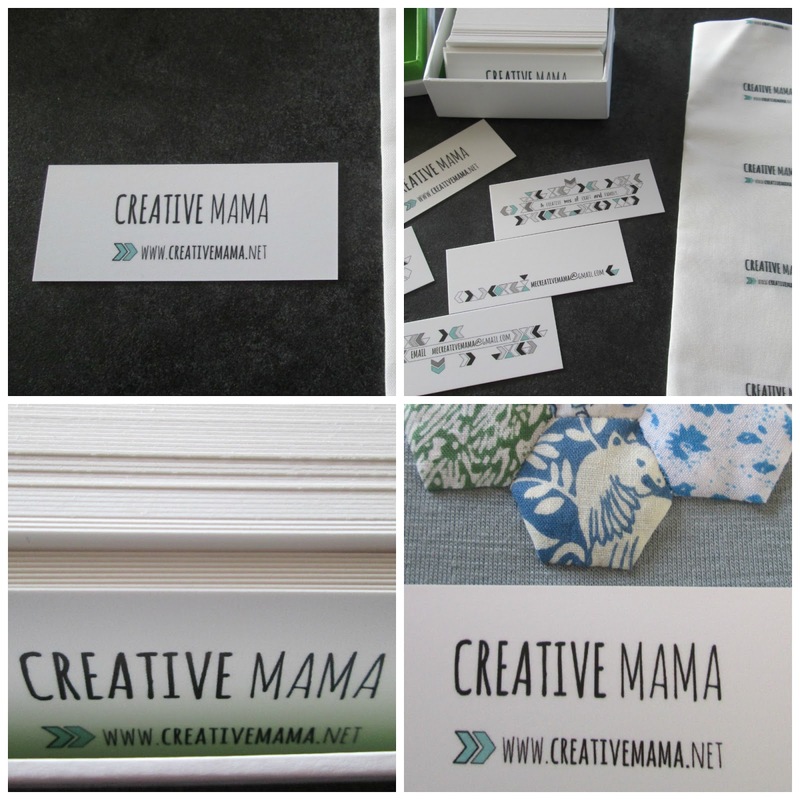 The fabric with the image was from spoonflower.I created my own labels by creating my own fabric. I only ordered a fat quarter to see how printing would turn out. 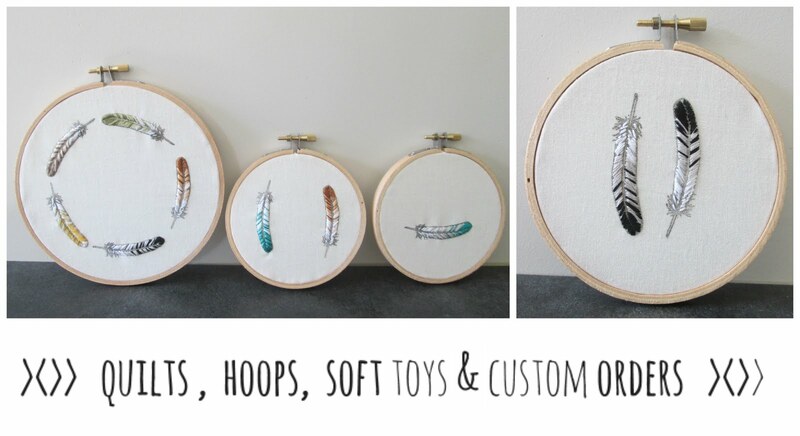 I plan on making another order and tweaking a few things. 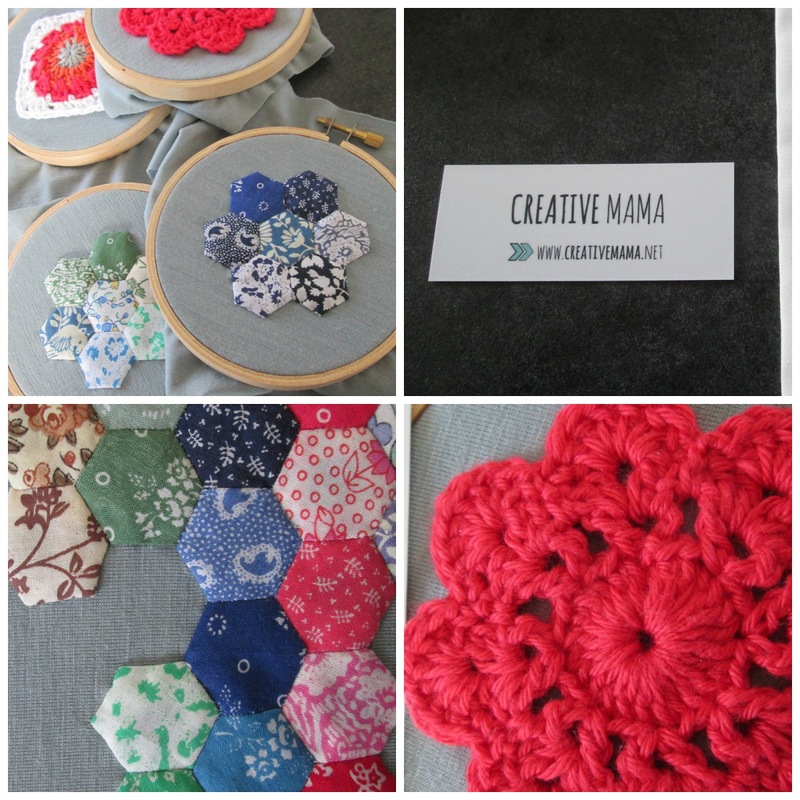 I have created mini hoops of crochet and vintage liberty fabric hexagons. Feels good to get back into the creative swing of things. well done - very professional looking! I do so love the new look! Clever you! gorgeous all round. love your crafts.